Joe Gomez sadly fractured his lower leg against Burnley and will be absent for the entirety of the festive period. The youngster will be a massive miss for Liverpool, who will now have to deploy either Joel Matip or Dejan Lovren alongside Virgil van Dijk for the next six weeks. Both are capable, but our defence will be weakened considering just how brilliant Gomez has been in 2018/19. 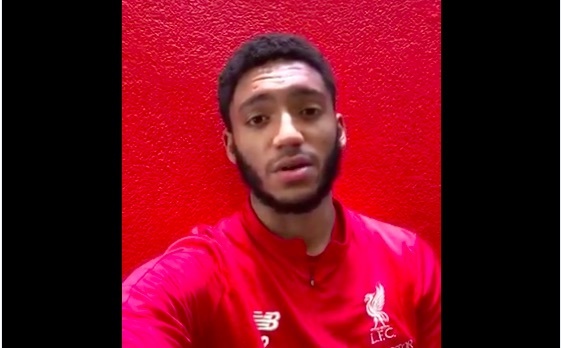 Gomez has posted a video to fans, thanking us for the support he’s been shown since Wednesday evening. The defender also said that, ‘thankfully it’s not too serious,’ promising he would do his best to ‘be back with you guys soon,’ which at least means it won’t be months on the sidelines.